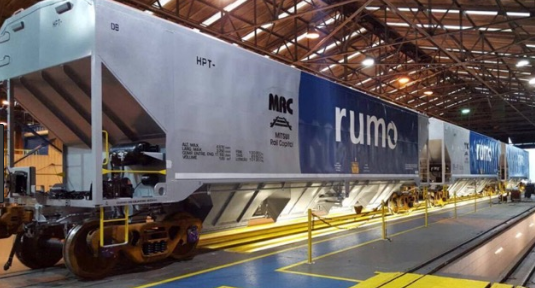 The Greenbrier Companies announced that it had received orders for 3,800 new railcars with an aggregate value of nearly $450 million during its fiscal second quarter ended on February 28, 2019. Orders for the quarter include tank cars, automobile-carrying railcars and covered hopper cars, and were consistent with Greenbrier’s expectations for the period. New railcar backlog of 26,000 units valued at $2.7 billion continues to be diversified across railcar types. Separately, Greenbrier today announced preliminary financial results for its fiscal second quarter. Greenbrier expects revenue of approximately $650 million and unadjusted EPS of $0.07 to $0.09per share. Challenges in Romania, Gunderson and railcar repair operations impacted results by $0.29, including one-time charges of $0.14 related to loss contingencies on certain railcar contracts, primarily in Romania, along with facility closure costs in the railcar repair operations.